JTJB Deputy Managing Partner, John Sze was a speaker at the 11th Dry Bulk Shipping Summit held in Shanghai on the 5th and 6th July 2018. 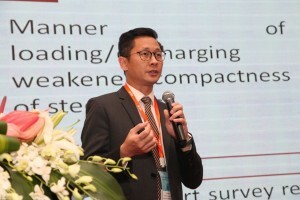 The event, attended by 168 delegates from both the domestic and international market, featured key presentations on the financial, operational and legal issues concerning the Dry Bulk shipping market, with a particular focus on the China market as the world’s largest importer of dry bulk cargo. The presentation given by John Sze featured various case studies on dry bulk cargo cases involving China. Winning Strategies In Arbitrations: What Do Arbitrators Look For? 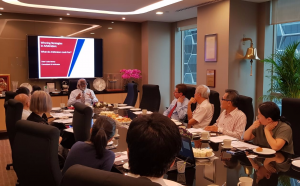 JTJB C onsultant and seasoned arbitrator Dato’ Jude Benny held a seminar on the 3rd July 2018. Dato’ Benny has acquired extensive experience as both arbitration counsel and arbitrator in a wide range of commercial matters including construction, infrastructure, off-shore, shipbuilding and corporate conflicts. The seminar gave participants valuable insights and tips on winning strategies in arbitration with topics that covered navigating the arbitration clause, filing of claim submissions, the presentation of submissions and evidence, the choice of factual and expert witnesses, and evidential hearings. On 31 August 2018, JTJB Managing Partner Murali Pany held a seminar on the Notice of Readiness in a voyage charterparty. 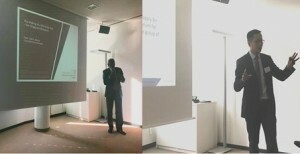 The seminar covered the requirements for a valid Notice of Readiness (NOR), the impact of invalid NORs and clauses that could accelerate the issuance of an NOR. Tony Faneco, Vice President of Chinsay Contract Management was invited as a guest speaker and he spoken about on-line charterparty contract generation. The seminar was attended by a variety of people in the shipping industry and was very interactive. On 29 August 2018, Dato’ Jude Benny and John Sze were speakers at a maritime seminar co-organised by JTJB and its network partner in Germany, M/s Endemann Schmidt. The seminar, which featured topics on legal and commercial developments in Singapore, Malaysia and Myanmar, was attended by guests from the Hamburg shipping community. A cocktail reception followed the seminar, which allowed the guests to network and take in the wonderful views from the balcony of the event’s host, Skuld Germany. JTJB wishes to thank Ms. Eva-Maria Braje of M/s Endemann Schmidt for organizing and presenting the seminar and Skuld Germany for very kindly hosting the event at their wonderful office. 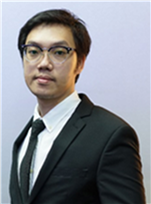 JTJB’s Corporate Department has been privileged to advise a number of clients riding the upward wave of the cryptocurrency market with their intended ICOs in Singapore. This involves thoroughly understanding the product in order to ensure regulatory compliance, reviewing the White paper and preparing the legal documentation for the provision of services in Singapore, amongst a slew of other things. Most recently, we advised WatermelonBlock in its ICO launch. WatermelonBlock is a company based in Australia that has created a product suite designed for cryptocurrency investors with a focus on ranking the market sentiment of top cryptocurrencies and ICOs. WatermelonBlock will also be launching its own trading bot that harnesses AI to execute trades on behalf of crypto-traders. WatermelonBlock’s ICO will take place in the 3rd quarter of 2018. If you wish to know more about WatermelonBlock, you can visit their website at https://watermelonblock.io/. Mr Bumpenwattana from JTJB Thailand was interviewed by Business Insider for their July issue. He gave his perspective on the Thai Cave Incident where 12 boys and their coach were trapped in a cave in Northern Thailand for 17 days. He quoted saying that ‘he personally believes that the coach would not face criminal charges although he has a lot to blame. The news reported that he took care of the children properly and gave his food to the children, hence there is not much of anger against him at the moment. To date, Mr Bumpenwattana’s predictions seen to hold true as no lawsuits have been filed against the soccer coach.